Globular vessel of uncertain form: flask? Light blue to bluish colorless (PMS 7457C to 7541C), translucent. Common pinprick bubbles. 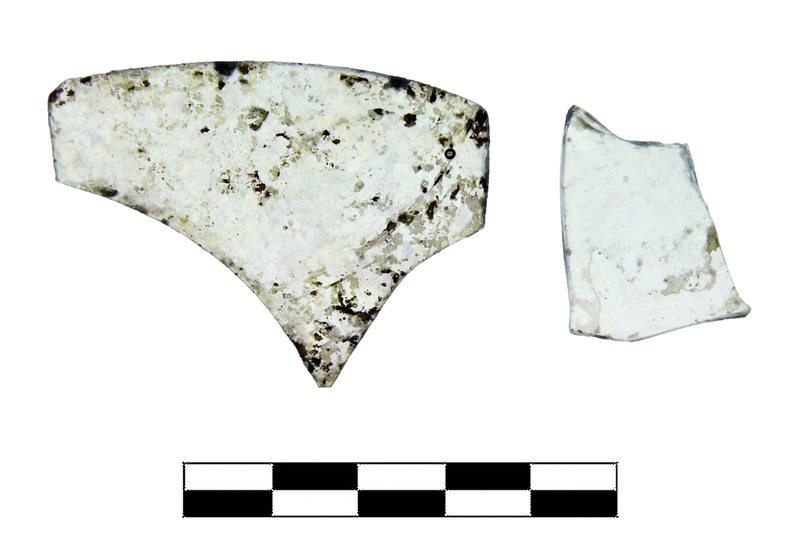 Two nonjoining body fragments (a, b) from same vessel. Moderate, extensive dulling, crizzling, iridescence; frequent, slight to severe pitting; slight, sparse gouging.